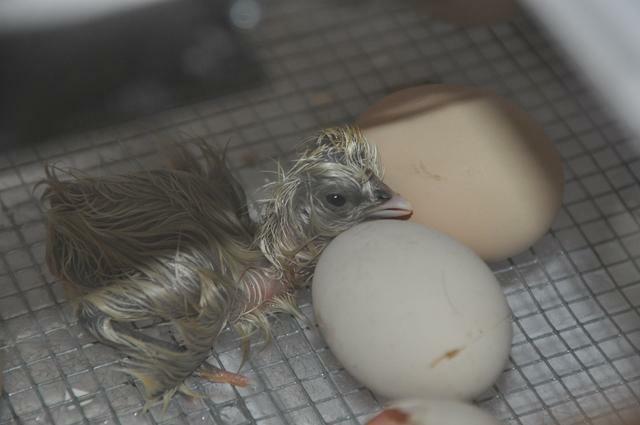 Discussion in 'Incubating & Hatching Eggs' started by Jermbubba, Aug 5, 2009.
just posted this video of my first baby. more hatched last night and will post a better qual video tomorrow. thanks for looking. That is a beautiful chick. What kind is she? Silkie so far 4 her same color and one buff looking one have also hatched. More videos from last night just posted. view them by clicking here. total count now at 6. Im seeing 2 more pips coming along nicely..
for those still following my hatching experience. the latest count is up to 10! I posted more photos on my blog where i have more storage.